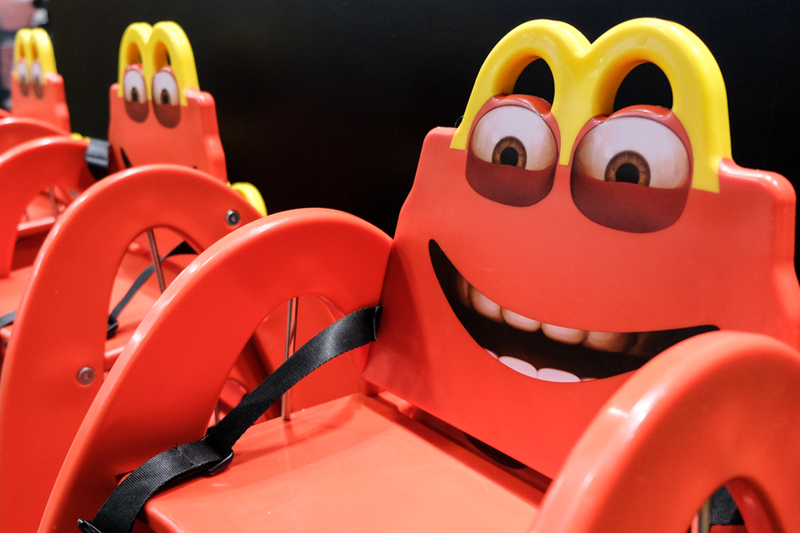 The subject of fast food and McDonald’s can be quite a divisive thing amongst mums. I will always remember broaching the subject with a new NCT friend of mine when my daughter was a babe in arms. Asking my new mum-friend whether we should go for a Maccy D’s felt as naughty as suggesting a mid morning Gin and Tonic. Thankfully for me, she loved the idea and we both happily tucked into our fries while the babies had a bottle of milk after we’d done a supermarket shop at Asda. Living. The. Dream. I was recently invited to a behind the scenes tour of McDonald’s in Reading. When I did a quick poll on my Maidenhead Mum Facebook page it was clear that the mums of Maidenhead have lots of different opinions about the fast food chain. 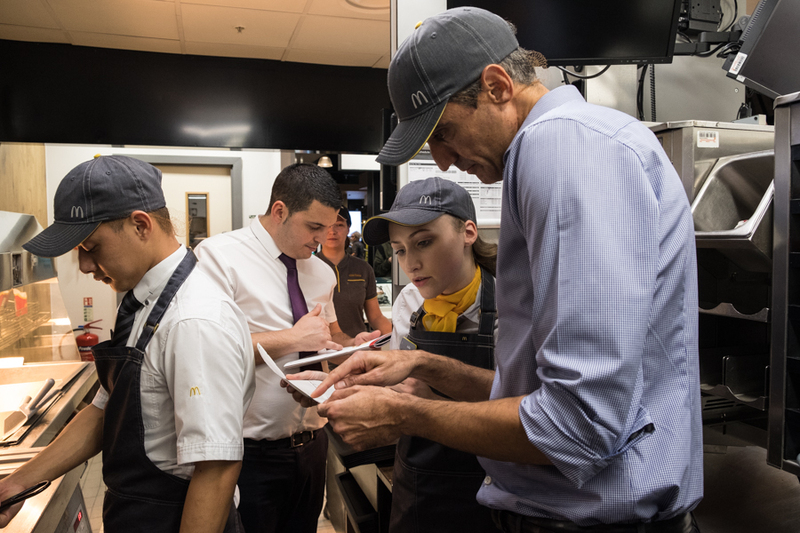 This post isn’t intended to make judgements or to change opinions, but I thought it would be useful to share some of the things that stood out to me on my visit to a new digital McDonald’s restaurant. They’ve certainly been doing a lot behind the scenes to make it more family friendly. 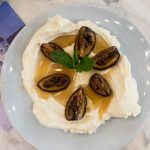 Here are a few of the things I noticed on my visit to the Reading restuarant. 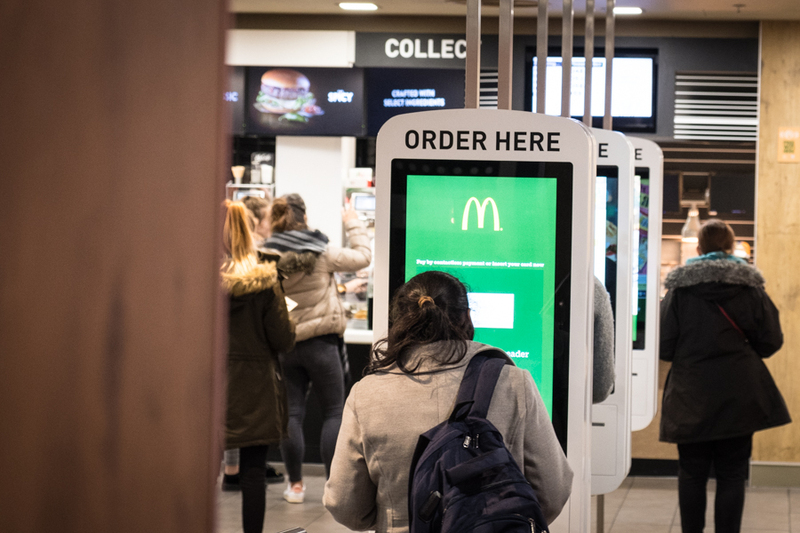 When my daughter was born and I fancied a quick bite to eat, it was quite complicated to navigate restaurants with a buggy and I can include McDonald’s in that. Even if I found a magical moment when she was sleeping, it was always a faff going in there with a buggy and trying to juggle ordering, finding a seat and carrying my tray. I do remember feeling like royalty once when the guy that served me offered to carry my food to my table! 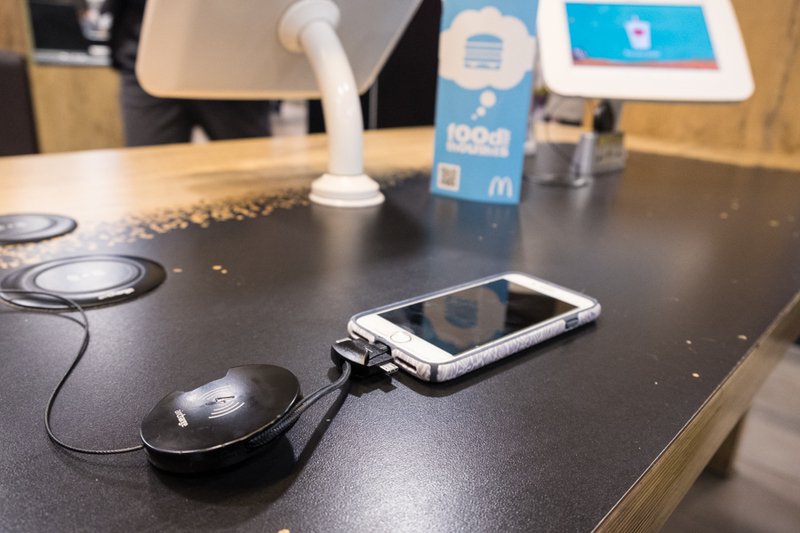 Now that the restaurants are switching to digital, things have changed. 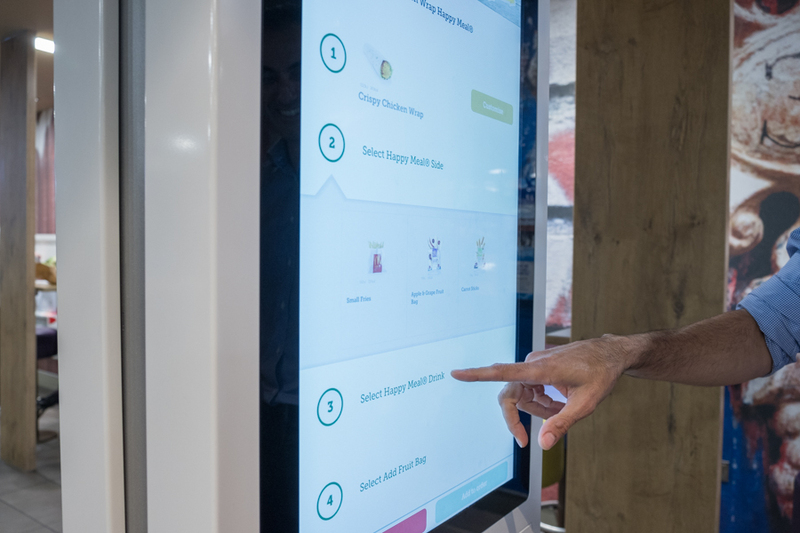 You can place your order on a giant touch screen, tell them where you will be sitting and your food will find you. Even if there isn’t a seat in the area you want, the staff are trained to look out for you and help you if they can. The wow moment for me is that you can even order your food from an app on your phone, So if you are all a family of consistent orders (we all have our favourites) then you can put your order into the app so it’s all ready and then tap on the mobile sensor when you get in the resturant to place your order. Super efficient! Don’t be scared of the technology: the screens are easy to use and staff are happy to help. 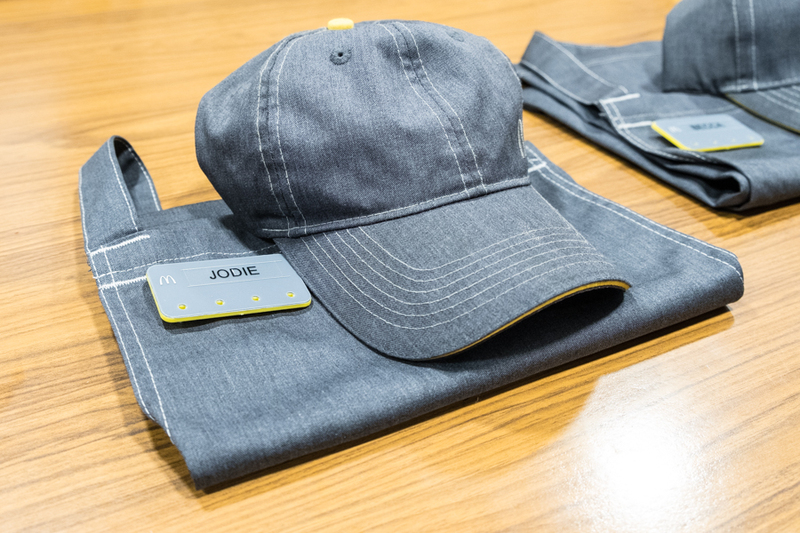 You can plan your order before you even get to store using the app. 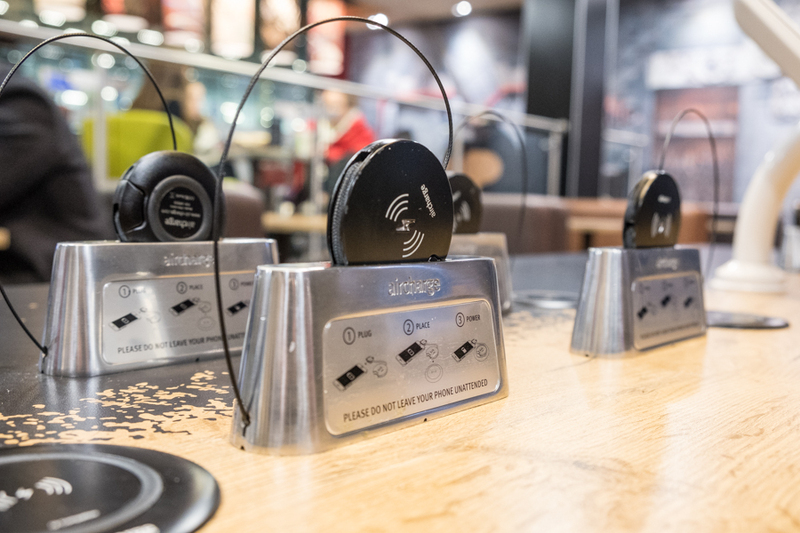 If you’ve not been to a McDonald’s restaurant for a while, then you may not have seen that some of the tables now have tablets that children can play on. There are even charging places for your phone. Each of these wireless charger points has multiple cable options inside so you can connect your phone. Genius. 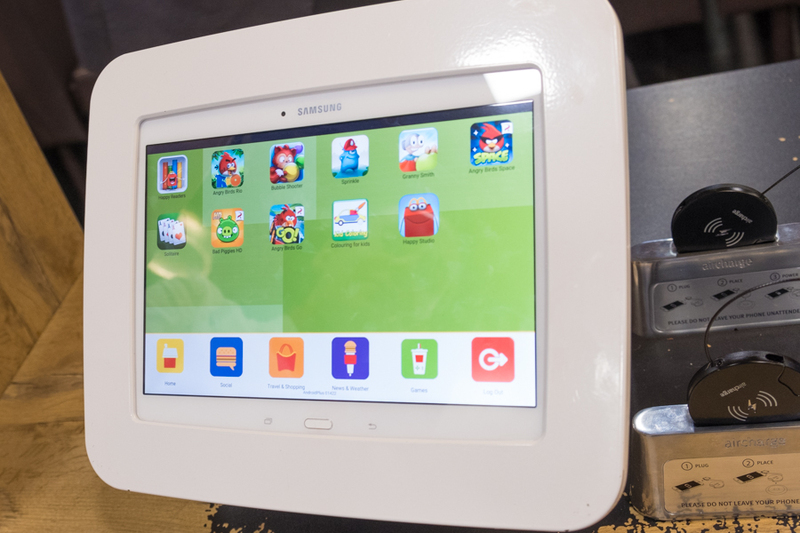 Thre are tablets pre-loaded with apps and games to keep the kids entertained. If you pull out the charger ‘pods’ they have adaptors for pretty much every phone on there. I used the lightning cable to charge my iPhone while I had my meal. Yes, we have a child obesity problem in the UK, but I can see that McDonald’s are making efforts to figure out how they can counteract that. They use free-range eggs and beef burgers are 100% beef, supplied by over 16,000 British and Irish beef farmers. And did you know that you can have a grilled chicken salad which has 133 calories? But let’s be honest, most of our kids aren’t really going to choose that. So I was quite impressed with some of the more subtle little things that McDonald’s have done to their menu. Take fizzy drinks for example: they’re still available, but if you look at the menu options when you’re ordering a Happy Meal you’ll find that they are tucked away at the bottom of the screen out of sight. This is the digital equivalent of not having sweets at the checkout in a supermarket: out of sight, out of mind. You can also choose a fruit bag for just 49p when you order a Happy Meal. 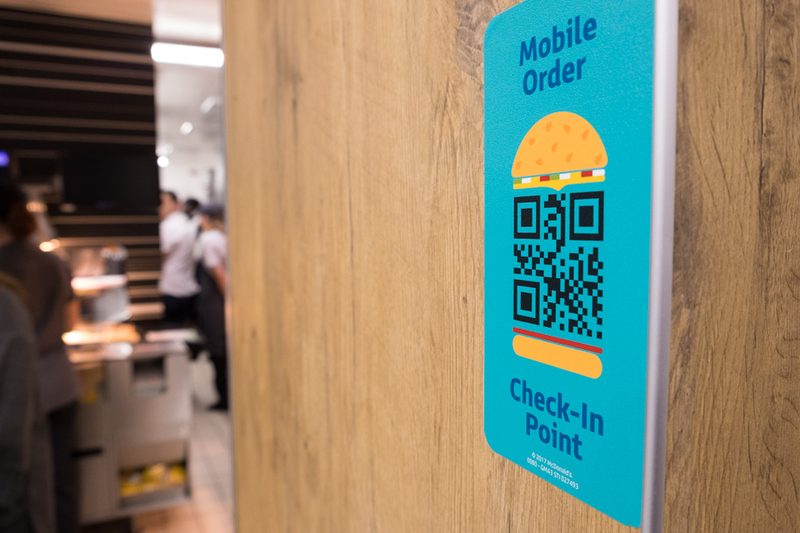 The digital transformations haven’t just been front of house, they’ve affected the whole of the ordering process in the kitchen too. Every order is now prepared fresh. When you combine this with the option to customise your order on the screens when you order, this is pretty impressive stuff. My husband hates having to go and place an order when we eat out as I am always the one that’s trying to build a dish that isn’t quite on the menu. Now you have the option to take the cheese off your burger (or the gherkin, who actually likes those anyway?!) when you place the order and the kitchen staff will just make it fresh to order. That old rumour of having a fresher item if you asked for something bespoke off the menu has now been thoroughly put to bed. Standard menu items don’t languish in the kitchen getting cold. Everything is prepared fresh. After a quick double-check of the allergens menu with the staff, I was able to build my own dairy-free option. I was let loose in the kitchen! 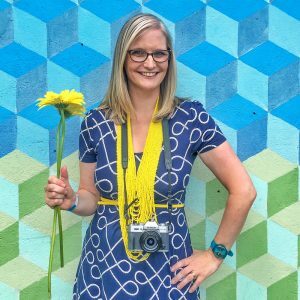 Supporting a big chain or supporting a local independent? For retailers and restaurants, surviving on the High Street is hard these days and the need to ‘shop local’ is always on my conscience. There is a lovely cafe that I go to in Maidenhead, but they only have one high chair, which is a bit pot luck about whether I can get in with two kids in tow. When you have hungry kids, finding a cafe and then doing a u-turn to go somewhere else is the last thing you need! Which is why I will sometimes head to McDonald’s with the kids in tow: I know that I can rely on McDonald’s to serve us with food pronto: two small hungry people are not interested in a leisurely lunch or chit chat.. 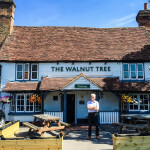 If I’m out with friends or colleagues then I find it much easier to support smaller, local independents as I don’t have to struggle getting a buggy into a smaller space or worry about whether there will be a high chair or not. 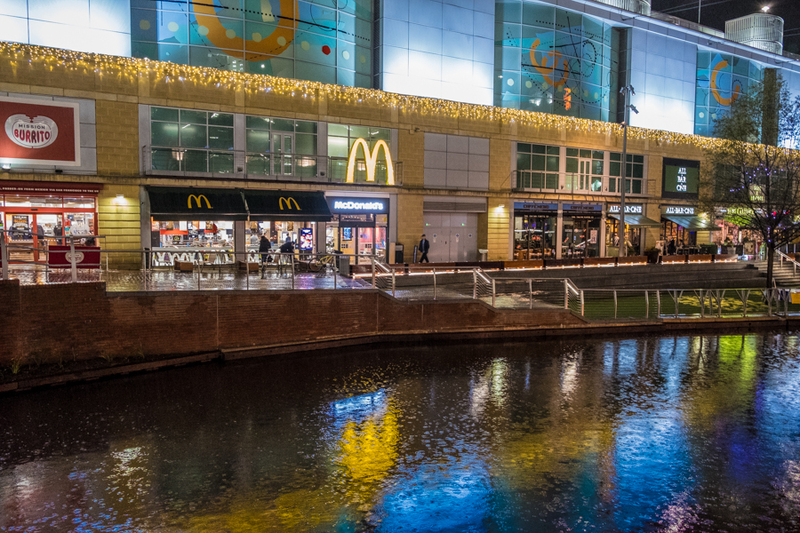 It might surprise you to know that although McDonald’s is a global company, 90% of UK restaurants are owned by franchisees, Maidenhead, Windsor and Reading included. What do the Maidenhead Mums think of McDonald’s? As part of my research for wring this post, I asked my Facebook page followers what they thought of McDonald’s. 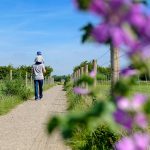 I was a bit overwhelmed by the amount of comments that I got and they make for a very interesting read (which you can see on my Facebook page here). A lot of people said that they preferred to go to independent restaurant if they could, whilst others said that they went to McDonald’s for a ‘treat’ with the kids, or if they were rushed for time. One really interesting point was made about nut allergies: McDonald’s is a certified nut free restaurant which is especially useful if you’re travelling away from home and are trying to find somewhere safe to eat. As someone that follows a dairy-free diet, this is one of the plus points for me: I know exactly what I am able to eat off the menu and I can rely on it wherever I go. I couldn’t finish this post without mentioning my McDonald’s honeymoon confession. The day after our London wedding, my husband and I arrived in Paris ready for our mini honeymoon break, feeling a little worse for wear. In my infinite optimism, I had arranged for us to do a walking tour at 5pm around Paris. As we were feeling ‘delicate’ after the previous day’s partying, we thought we would arrive a little early for the tour and grab a bite to eat. By the time we arrived at the meeting point we felt so rough that didn’t fancy looking for a lovely French restaurant, we headed to McDonald’s and ordered a huge portion of chicken nuggets and fries. Oh the romance and glamour! Our first meal as a married couple in the city of romance was a Maccy D’s! When we finished our meal to go on the tour, we realised that we had actually MISSED the tour because we (I?) had forgotten about the hour time difference between the UK and France! Oh dear. I think we decided that it was probably for the best anyway and we went to a local street bar overlooking the Seine for a much more Parisien start to the honeymoon. This is a sponsored post in collaboration with McDonald’s. I was paid for my time while I visited the restaurant, but I have been given creative freedom to write my honest thoughts and opinions.